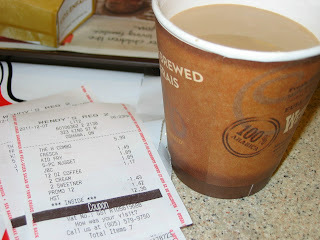 A Much Deserved Coffee Break After A Day in the Retail Jungle: Searching for #EqualCanada @Wendys #CBias. One thing I didn't count on when entering motherhood? The constant search for anything that will boost my energy to keep up with life as we now know it. I don't think I've had a full nights sleep since getting pregnant three Christmases ago. Then along came baby who only catnapped for short periods, I thought I was going to lose my marbles from lack of sleep. Needless to say, the 5 cup coffee habit I kicked in 2006, was reborn after Princess Destructo arrived. Now flash forward to 2011, I am a part-time SAHM, who is trying to launch a free-lance career in my "free" time. Which means I write while everyone else is sleeping. What do I turn to for a quick pick me up? COFFEE and lots of it! I'm fairly picky about my coffee. Not in the sense that I expect to drink only gourmet beans, but the fact that I really don't like the taste of white sugar. I actually prefer the taste of sweeteners. So when I was approached to do a Shoppertunity for #CBias (via Social Fabric) I knew exactly where I would go in search of Equal. Why did I choose to get coffee at Wendy's after a 8.5 hour day at work? Because I needed to feed my family quickly and Wendy's has a Value Menu, healthy food options, and COFFEE. I turn to fast food to feed my family when we are pressed for time or if we just need a treat. We try not to eat at restaurants more than twice a month. With my part-time retail job revving up to full-time during the Christmas Season our restaurant trips are nearly once a week. If I finish work at 7:00 PM and Princess is supposed to be bathed and in bed by 8:15 PM, it makes sense for us to grab a quick meal on the way home. I get more time to hang out with her and not have after dinner clean up chores either. 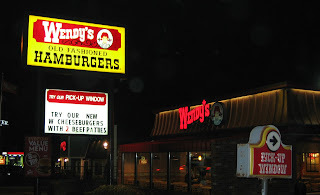 When I suggested going to Wendy's on the way home from work there was no hesitation from Hubs. He said he's been eager to try the new "W" Cheeseburger. It looked like a lot of sandwich to me and wasn't so keen on it. 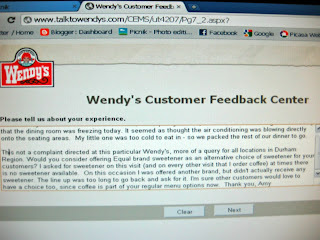 My reasons for eating at Wendy's ~ being able to order the smaller portioned items from the $1.89 Value Menu. So ordered my coffee first and foremost, then 5 piece nuggets, a Jr Bacon Cheeseburger, and a Kids fries (using a Halloween coupon). I also love that Wendy's offers multiple options for your combos~apart from the standard drink, burger, fries deal at most places. The option of having a small chili or baked potato with my Jr. Bacon Cheeseburger Combo is divine. The condiment bar was one of the first things I saw when we entered to line up and place our orders. 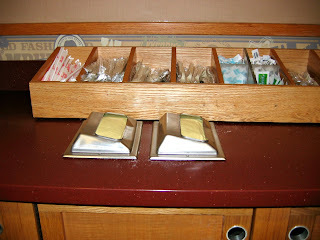 The items were neat and organized ~ easily accessible~ with individually wrapped utensils. I noticed the absence of ketchup, either in packets, or the self-serve pump (that I never use anyway for doubts of how often the contents are replaced). 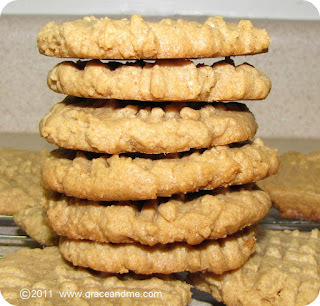 Also absent ~ sugar or sugar substitutes of any sort. I can understand why many items are kept behind the cash desk and made available by request only. For example, Wendy's condiment counter was missing: ketchup, drink refills, sugar, sweeteners, etc. Waiting in line twice for extra items I may need for my meal are a deterrent though. I simply don't have time most visits. I ordered a large coffee with 2 cream and 1 sweetener. I asked "Sherry" what sort of sweetener they had to offer. She hesitated a moment and said; "Are you talking about sugar?" I said; "No, sugar substitutes, do you have Equal?" She walked over to the coffee station and held up 2 different packets ~ a white one marked sugar ~ the other one bearing another sweeteners brand name. Sherry said; "Which one do you want? And by the way the coffee only comes in one size." I asked for the "not sugar and not equal" sweetener. Hubs ordered the rest of the meal and paid. I immediately grabbed my "one-size-fits-most coffee" and went with Princess to find a table. The dining area was neat, clean, in spite of being fairly busy. Before Hubs even joined us I had to return and ask for my sweetener. After tasting the coffee, I realized there wasn't any in there. Hubs said he would ask for it, so I went back to the table. He joined us with a tray of hot food and I started scrounging for my sweetener. Hubs~ "Oh, I asked and she must have forgot again." I peered up over the half wall and judged the estimated wait time in line to get the sweetener. Realizing that we only had another 10-15 minutes to eat and vamoose, I decided to make do without it. Besides, the dining area was FREEZING with a capital F. Princess' teeth were chattering. There seemed to be full force air conditioning blowing directly down on our seating area. I enjoyed my coffee enough to gulch it in about 5 big gulps. Mind you, the serving was about 1/2 the size I normally get at my favourite coffee spot. I asked very kindly (on the way out) if there were any feedback cards. Sherry said that they didn't use them anymore, but suggested I look at the survey options on the back of my receipt. Glad I didn't toss it in the trash! Located conveniently on the back of my receipt was a 1-888 number and a webpage address. 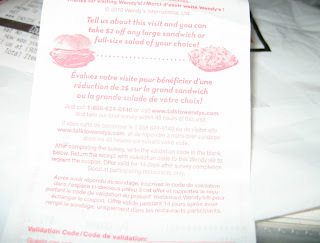 There was also a promise of $2 off a Large Sandwich or Full-Sized Salad after completing the survey. I am NOT a fan of automated phone systems and a $2 rebate is not enough incentive to convince me to try Wendy's 1-888 number. 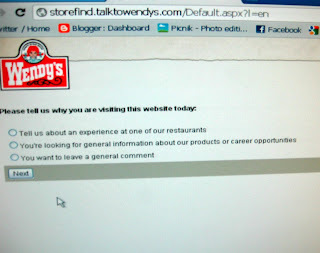 So I chose to visit the web address at www.talktowendys.com. 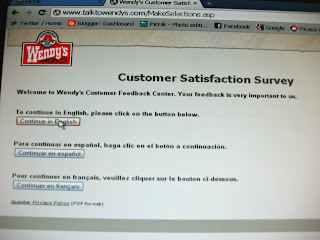 Immediately I was given the option of taking the survey in English, French, or Spanish. This impressed me. After choosing "English", I was given the option of choosing which Country I was from. Next screen asked me what the purpose of my visit was. Basically, was I there to complain, compliment, or make product suggestions ~ Also, they wanted to know if I was responding to a specific visit or making a general query. Even though I chose the option of "Looking for general information about products" I still got bumped into the full survey. 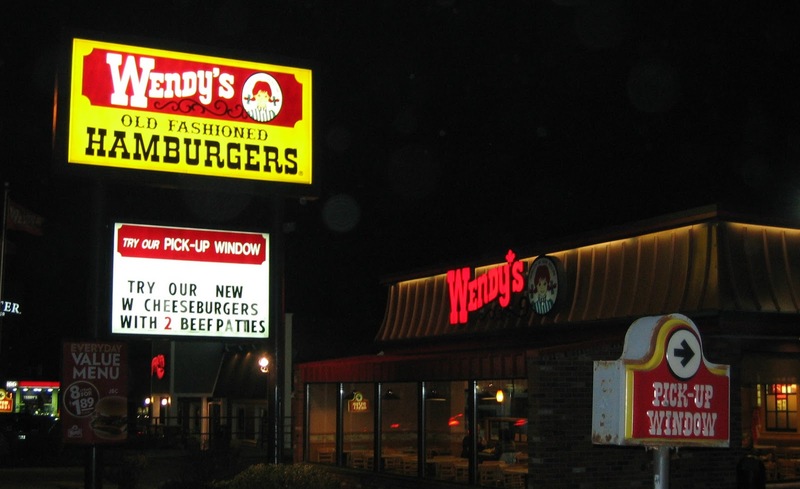 "By the way ~We love eating at Wendy's and choose it for value, healthy options, and quality food. 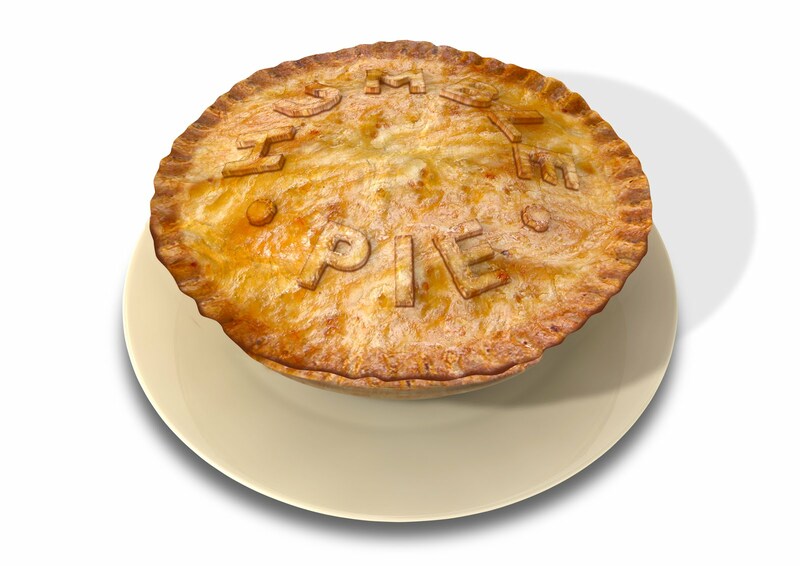 The food was great, but the dining comfort was low. The dining room was freezing today. It seemed as though the air conditioning was blowing directly onto the seating areas. My little one was too cold to eat in- so we packed up the rest of our food to go. 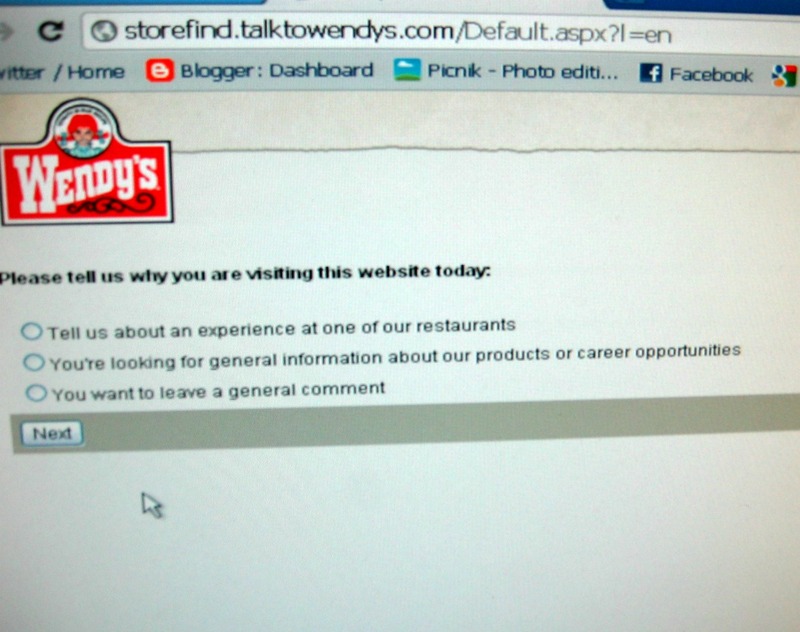 My second comment is not a complaint against this particular Wendys, more of a query for all locations in Durham Region. Would you consider offering Equal brand sweetener as an alternative choice for your customers? I asked for sweetener on this visit (and every visit that I order coffee) at times there is no sweetener available. On this occasion I was offered another brand but didn't actually receive any. The line was too long to go back and ask for it. I'm sure other customers would like to have more sweetener choice too since coffee is part of your regular menu options now. My only disappointment was the lack of validation code for my $2 rebate. 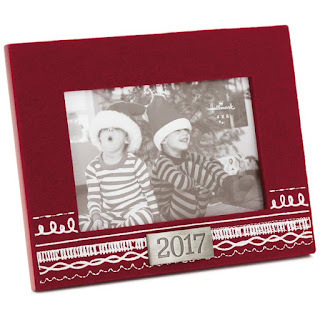 I completed the survey and went back to the home page as suggested. The rebate code was never displayed and they didn't take my contact information. So there is no hope that it is being sent to email. 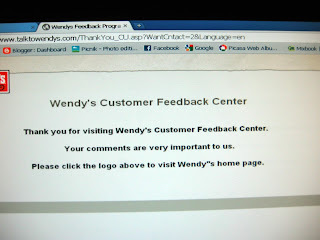 Nonetheless, I will return to Wendy's with or without my $2 rebate. There are a few back-to- back 9 hour shifts next week. I will need my coffee break from the retail jungle while the family feeds their bellies. or LIKE Equal Canada on Facebook. *This shop has been compensated as part of a social shopper insights study for Collective Bias. 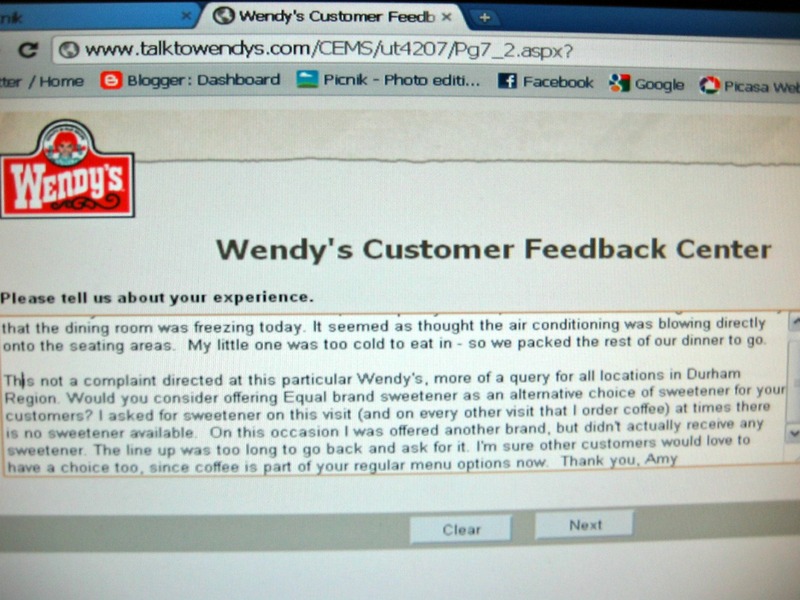 Though working on behalf of Equal Brand sweetener via the #CBias panel, all views are honest and my own. I hate it if the restaurant is that cold, it doesn't make for a nice experience at all. 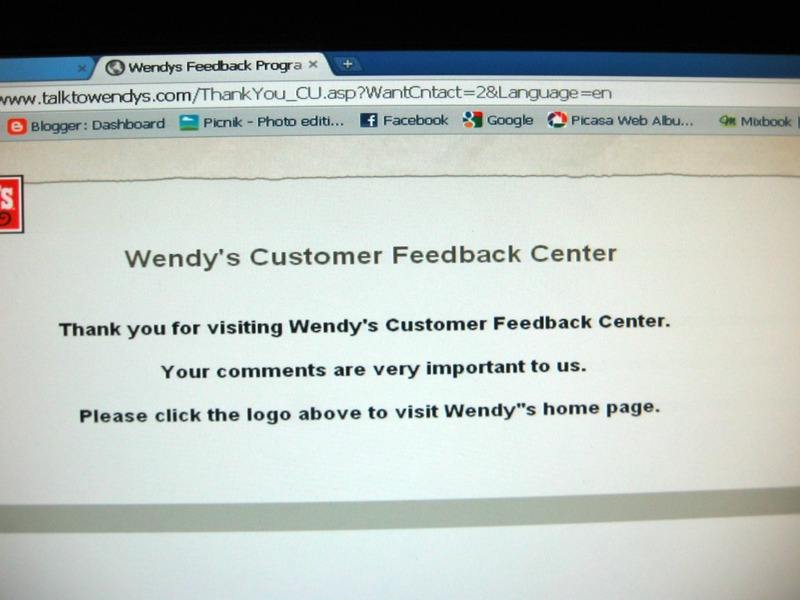 Thanks for letting us know that Wendy's doesn't offer Equal to their customers. Great post. Yes!! My biggest complaint is too-cold restaurants too. When everyone in there is dining with their coats on, you'd think they'd notice. Considering that it is a mild December so far, it was nearly colder inside than out...very silly really. It won't keep me from going back though. We have about 12 restaurant options between my work and home, this gets the family vote every time. HOT food trumps cold dining rooms, or sparse condiment counters.